Built during the ‘golden age’ of piano manufacturing, this 1917 Steinway & Sons Model O Grand Piano is one of the most unique and rarest pianos we have ever featured. Featuring a modern Sketch 380 Sheraton cabinet and spade legs, this Model O was originally specially ordered in a figured Brazilian Rosewood. This is the only modern styled New York Steinway in Brazilian Rosewood that we have ever come across. This special Steinway has been expertly restored to ensure it returns to its rightful status as a concert level instrument. Interested in learning more? Get in contact with us today. This piano has been sold to a client in Los Angeles, California. Manufactured at the New York Steinway & Sons Factory, this beautiful Model O Grand Piano is a unique and rare instrument. (The piano’s serial number indicates a date of 1916, Steinway records show a completion date of March 2nd, 1917.) The 5′ 10 1/2″ Model O has long been a favorite of amateur and professional pianists alike. Boasting a balance of size and performance, they were first introduced in 1900. (Many of Steinway’s case styles were first introduced through the Model O grand pianos.) Production of these instruments was discontinued by the New York factory in favor of the Model L in the mid-1920’s. Production of Model O Grands continued at the Hamburg factory and in 2005 production resumed in New York. Steinway Model O Grand Piano #182044 is built in a ‘modern’ Sketch 380 Sheraton case design with square arms and an arrow point music desk. It rests on octagonal spade style legs. This piano was completed on March 2nd, 1917 and was immediately shipped to the famed Lyon & Healy company of Chicago, Illinois. What makes this instrument a rarity is the wood that was utilized. The piano is covered with a rich veneer of exotic Brazilian Rosewood. Once common, rosewood quickly grew in rarity and by the time this piano was built, was almost never utilized on new instruments. (Steinway now utilizes ‘Indian’ Rosewood, not Brazilian Rosewood.) In our over forty years of industry experience, we have never seen a modern style New York Steinway that features an art case rosewood cabinet! According to conversations and documents from Steinway & Sons in New York, this Model O appears to have been a one-off, special factory order. The combination of the Sketch 380 Sheraton cabinet and the figured rosewood veneer creates a wonderful blend of the new and old. The piano’s keyboard includes the original ivory keytops which have been fully restored to their like-new color and sheen. 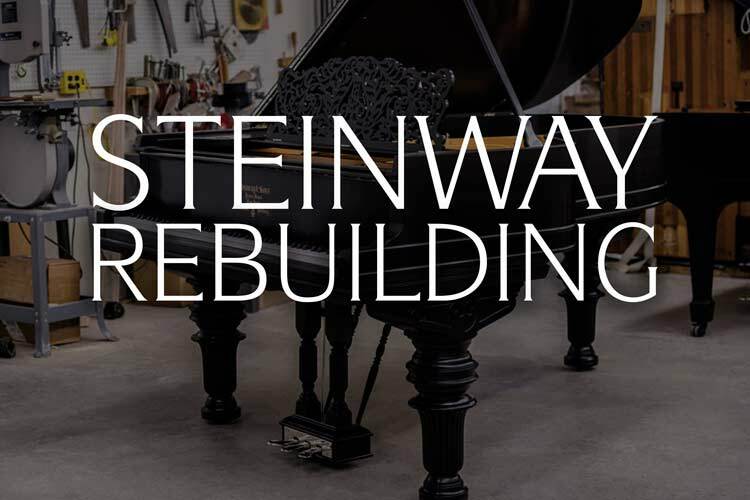 This rare, vintage Steinway has undergone an extensive restoration and refinishing process. This includes a new solid spruce soundboard, new custom fitted hard maple pinblock, a fully rebuilt action and much more. Our full piano restorations are executed with the function of the piano as a musical instrument foremost in mind. We spend many extra hours on the essential steps of action regulation and voicing to ensure the most responsive touch and a full, ‘Steinway’ quality of tone. Our cabinet refinishing process is labor intensive and completed with the utmost care. Our rebuilt Steinways are finished in a fine quality closed pore, hand rubbed lacquer. This allows for optimum finish clarity and a beautiful final result. The cut of rosewood that is utilized on this instrument is beautifully figured and is absolutely breathtaking. The deep grain is run vertically along the sides of the cabinet which was rarely done at the Steinway factory. The refinished cabinet is paired with brilliant nickel hardware. Our restoration work is very extensive and we truly remanufacture each of our vintage pianos to return to them to a like-new quality of tone, touch, and visual appeal. This piano is a true crown jewel! 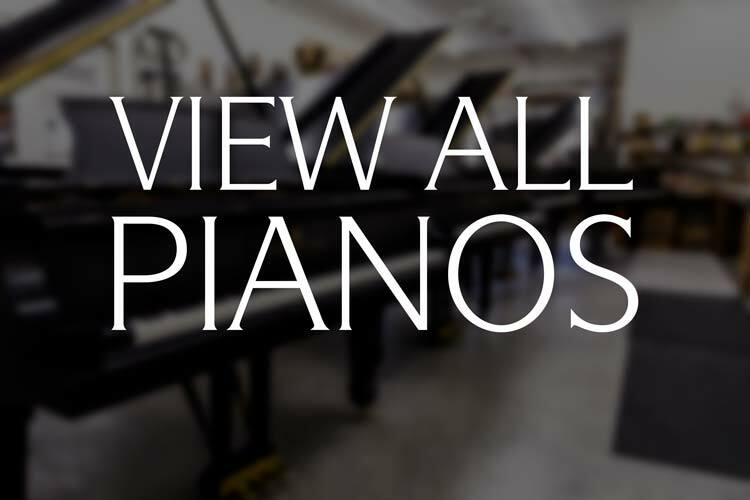 We invite you to visit our showroom and discover this piano for yourself. 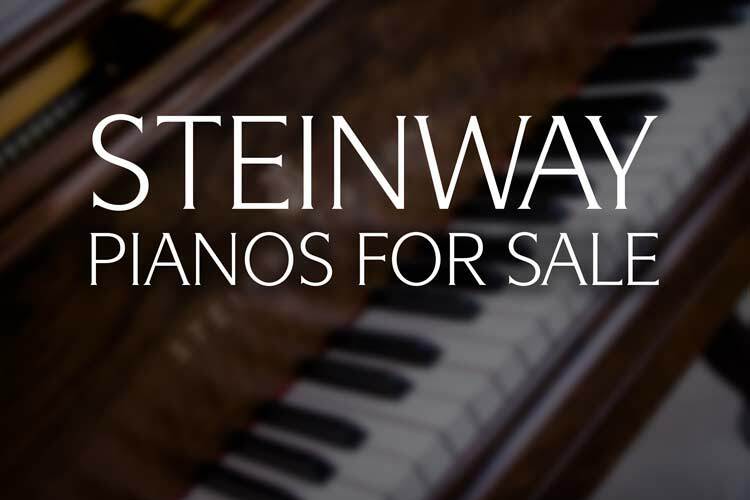 ‘Golden age’ Steinway & Sons Grand Pianos have become the preferred choice of countless concert pianists, recording artists and piano aficionados around the world. Pre-WWII era Steinway pianos are the epitome of the craftsmanship that has made the Steinway name so legendary. Craftsmen had access to the very finest materials and intense competition drove them to create the best pianos possible. 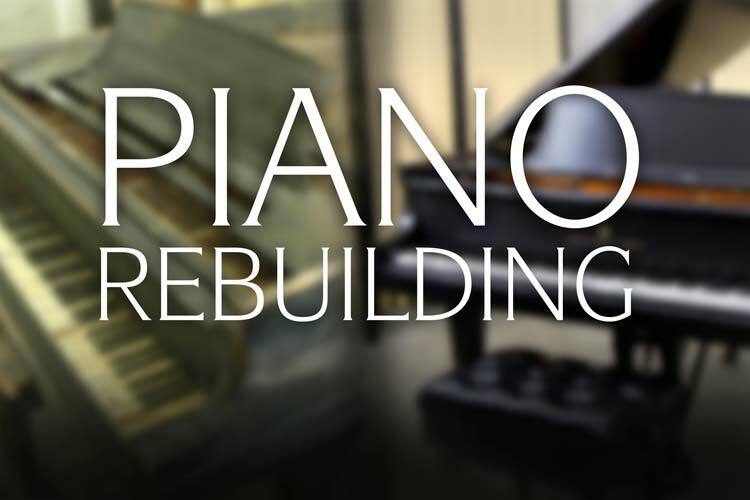 Here at Chupp’s Piano Service, Inc. our restoration work is focused on returning each vintage piano to a concert level of performance. 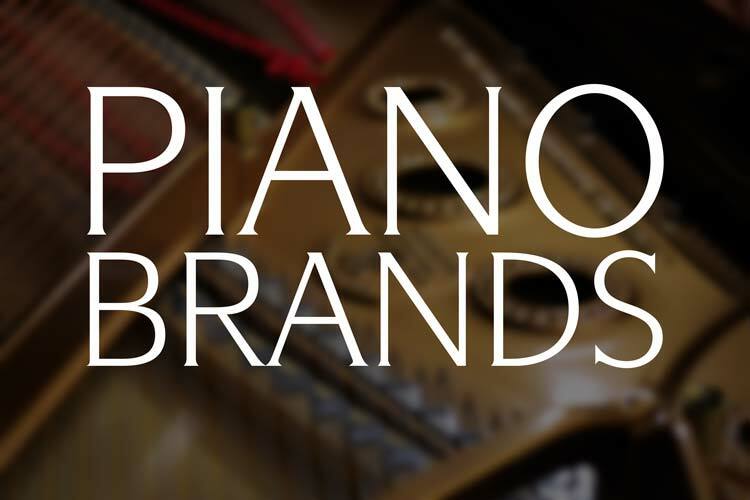 For over forty years we have brought new life to a countless number of historic grand pianos. Error: Error validating access token: Session has expired on Thursday, 10-Jan-19 19:00:02 PST. The current time is Wednesday, 24-Apr-19 23:35:09 PDT.